A contempt petition is filed before the Hon’ble Supreme Court Of India against the Central Board Of Secondary Education( CBSE) under Section 12 of the Contempt of Court Act, 1971. Contempt proceedings were filed against CBSE for willfully and deliberately disobeying the explicit direction given in a 2011 Supreme Court Judgement in “CBSE & Anr. Vs. Aditya Bandhopadhyay & Ors.” (Civil Appeal No. 6454/2011) and a 2016 Supreme Court Order passed in “Kumar Shanu and Anr. Vs. YSK Seshu Kumar, Chairman, CBSE” Contempt Petition (Civil) No. 9837/2016 in Civil Appeal No. 6454/2011. 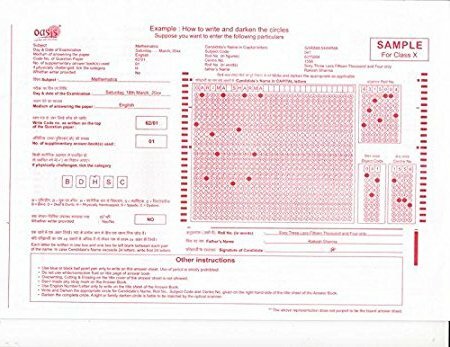 The 2011 Judgement ruled that Answer-Script is an information under Right to Information Act, 2005 and the examinees have a right to inspect their answer-sheets and obtain the copies thereof. The 2016 Order directs the CBSE to observe the 2011 order seriously. The petition submits that CBSE has published an arbitrary and unfair notification dated 31/05/2018 wherein it has prescribed the same exorbitant fee of Rs 1000/- (X Class) and Rs 1200/- (XII Class) for obtaining the evaluated answer-sheets copies. The same illegal charge was levied by CBSE in 2017. The Fundamental and Legal Rights of the students are being , therefore, violated.